Data play an increasingly important role in our society; people and machines generate more and more high-quality, accessible data. This range of large datasets, combined with innovative research tools, provide fascinating opportunities for researchers and students. Utrecht Data School is a research and training platform where you get the opportunity to take a new perspective to the opportunities and problems of data. 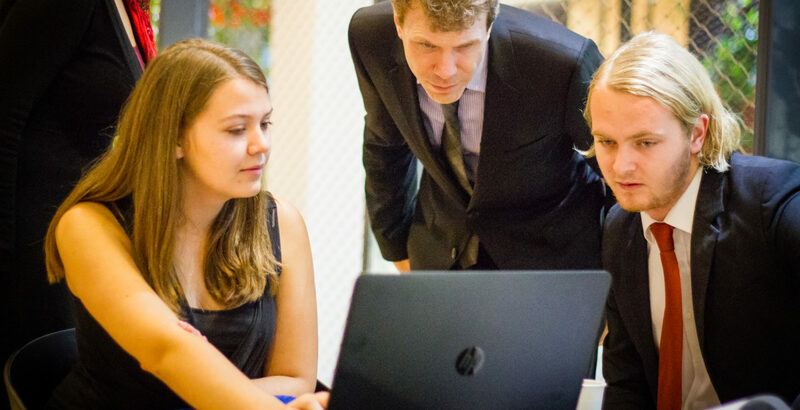 The Utrecht Data School brings students from different disciplines, experts in the field of data analysis, and industry experts together to bridge the gap between education, research and practice. Students experience what it is to do research for a real client while the client benefits from academic knowledge and a fresh look at data. The Utrecht Data School offers practical courses over data-driven practices and research methods for students from all research fields. The curriculum consists of two courses, Practicum I and Practicum II, occurring respectively in Block 1 (September) and Block 2 (November) of the academic year. The Utrecht School Data can be summarized as a unique experience for students to reflect on the transformation of society through data-driven practices. Collaborating with partners not only offers relevant insights into the existing practice of investigation of data, it is also an opportunity for students to make valuable connections for a job or internship.